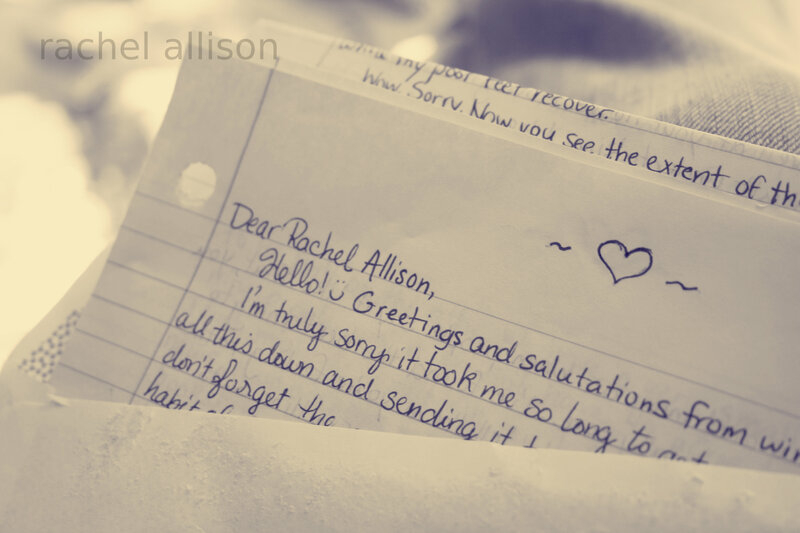 Do you still send/receive handwritten letters? I am ready to cry! Last I received a handwritten missive was when my philatelist friend was promoting launching of a stamp…. Let me see, it was probably 5 years ago! Considering that people haven’t written or received such fortunes for decades, maybe I am lucky! My best friend and I have been letter writing throughout our entire friendship (about 11 years). We don’t do it as often now, but we still do send the occasional letter. I don’t know how it’ll work out, but I hope to never lose the habit of writing letters. Yes, I still send handwritten letters. I don’t believe any social media or email can ever take place of it. And now that the internet is abound, I think it makes “snail mail” even more special when received!